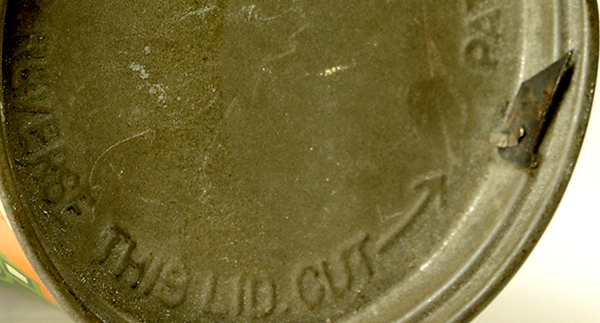 United Kingdom Blade Lid The Type 0 (zero) can is metal with a recessed lid that contains a cutter or blade used to open the can. 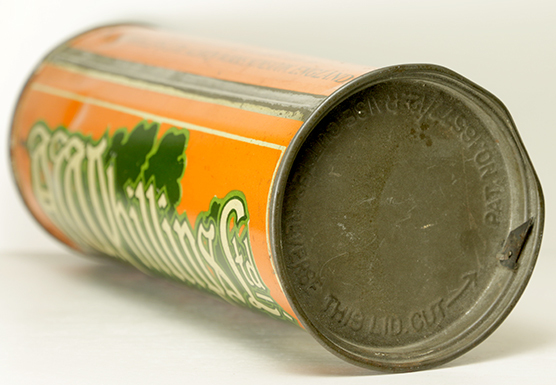 Extend the cutter, remove the lid, turn the lid upside down, place back on can allowing cutter to penetrate inner tin seal used to keep pressure in can. Once inner seal has been punctured, twist the lid around can fully dislodging the seal so the balls can be removed. The lid can be placed back onto the can..